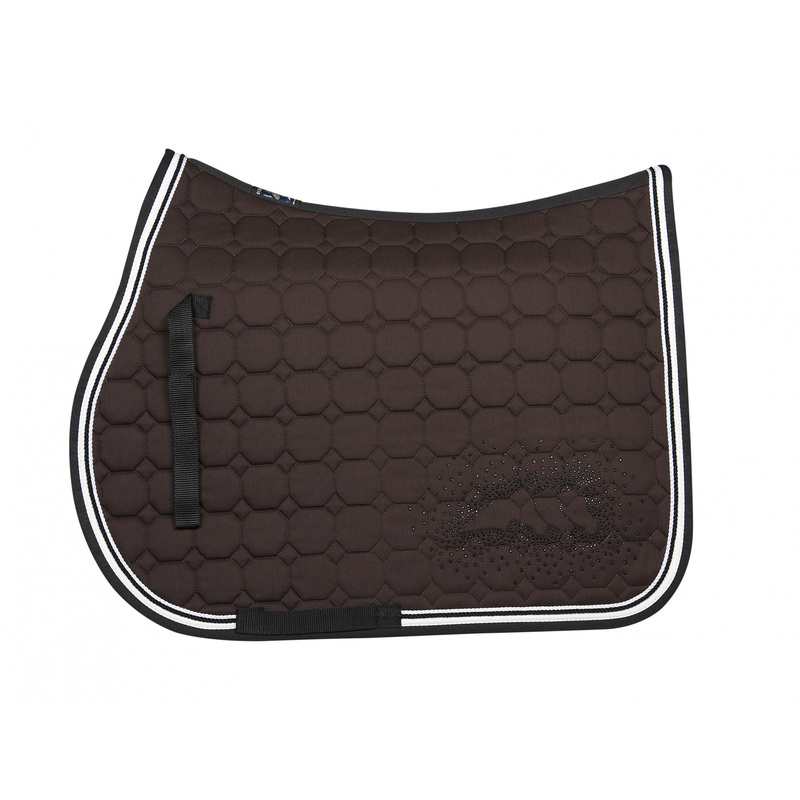 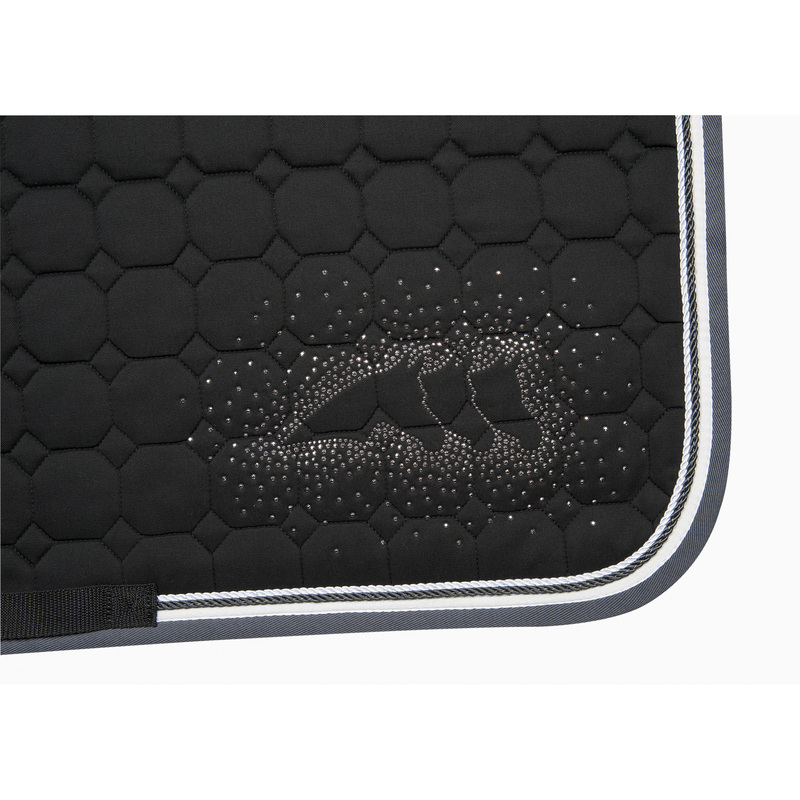 Joyce Octagon saddle pad that apart from an exquisite quilting with octagons has also an Equiline logo made from crystals. 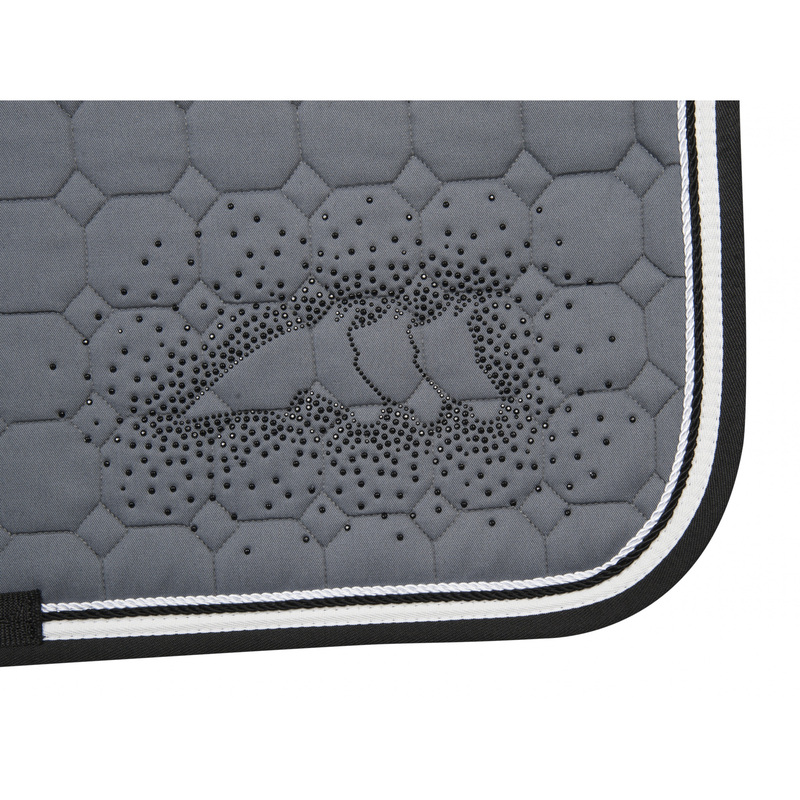 The edges of the pad are covered with lace trimming. 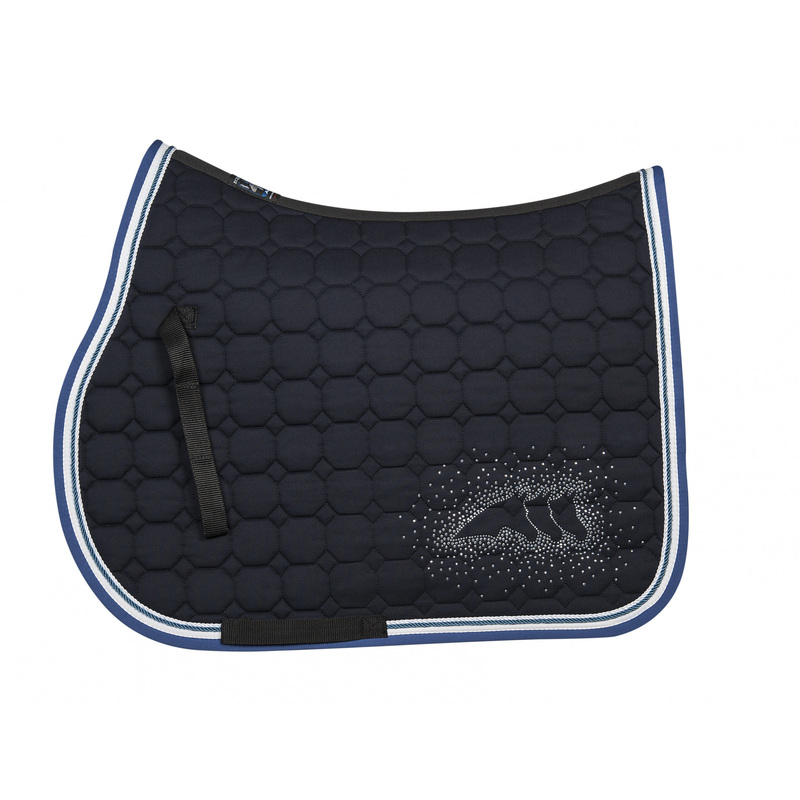 Jole fly hat is made in the same colour gamut and has the same decorations, thus they will create a beautiful set. 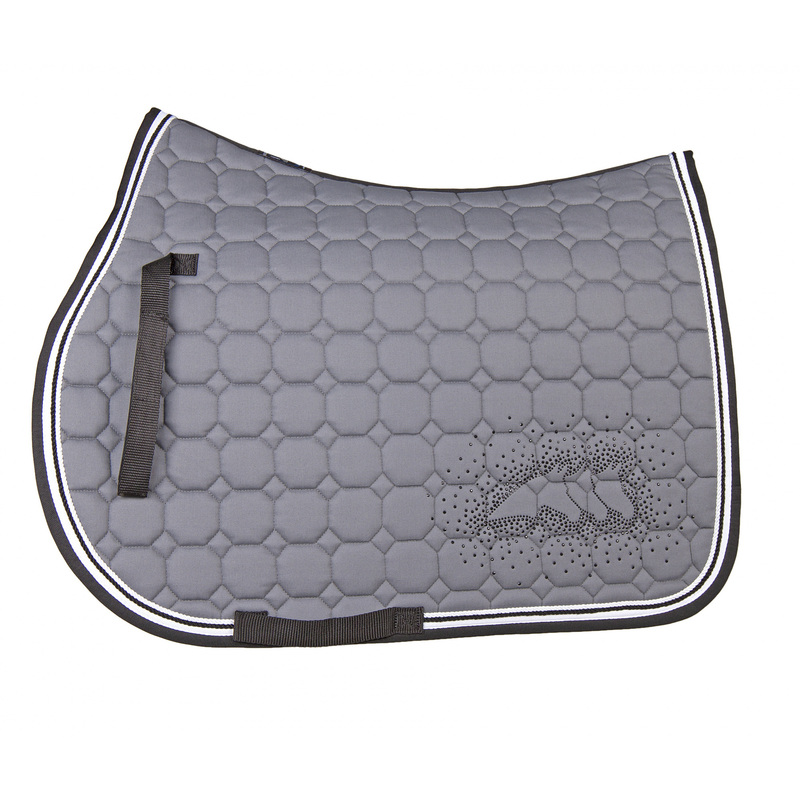 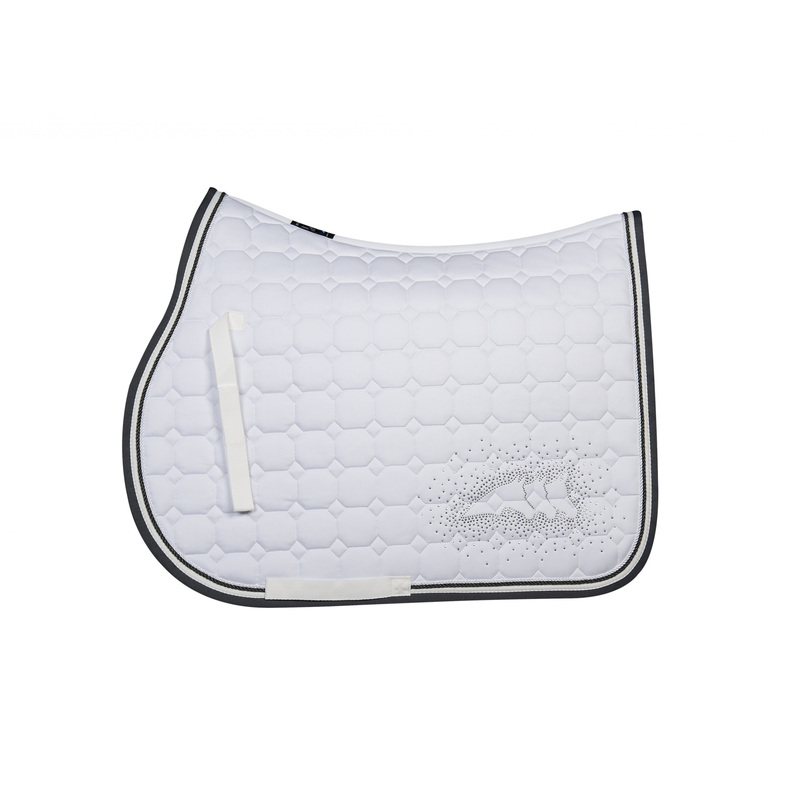 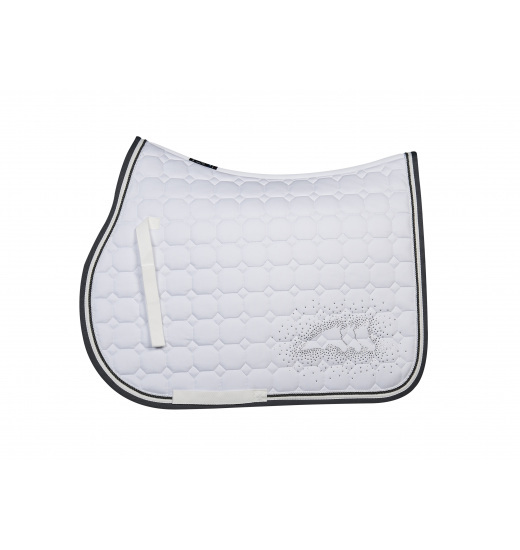 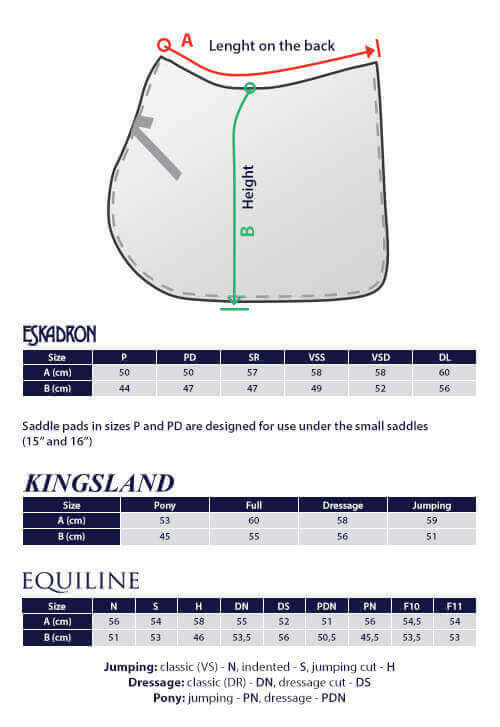 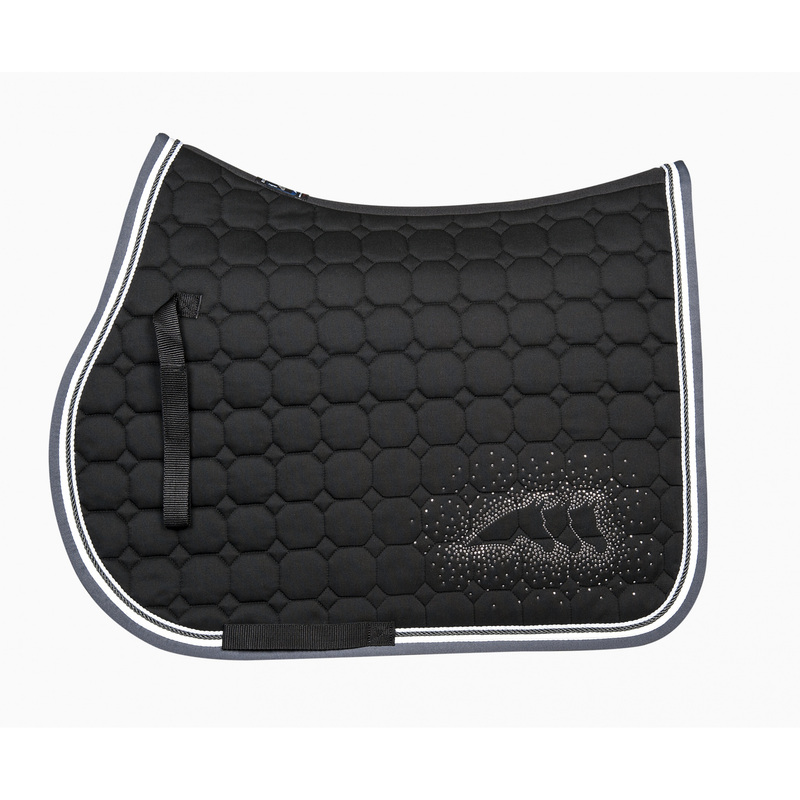 The saddle pad is available in jumping and dressage (which is longer) versions.